JASS is our award for our young people. This award is progressive, with increasing commitment, learning and challenge at each level and all our children are taking part in this scheme. Parents, staff and pupils alike look forward to their Friday JASS sessions covering the four sections – My Interests; Get Active, Stay Active; Me and My World and Adventure. JASS is fully inclusive and our children have developed greater self confidence, self assuredness and (most importantly) enjoyment! Pupils from Castlehill Primary School took part in their daily mile on Friday 23rd March. 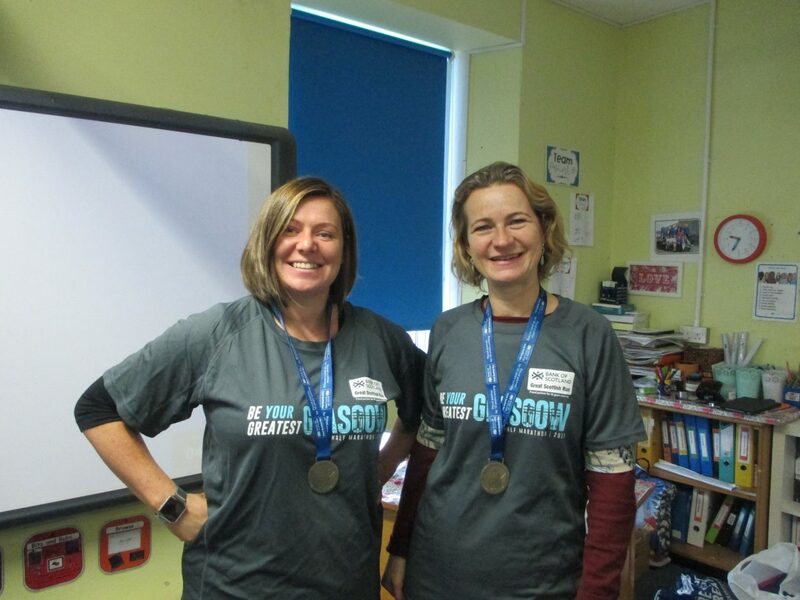 All the classes from Primary 1 to Primary 7 ran, walked or jogged together around the school in aid of Sport Relief. 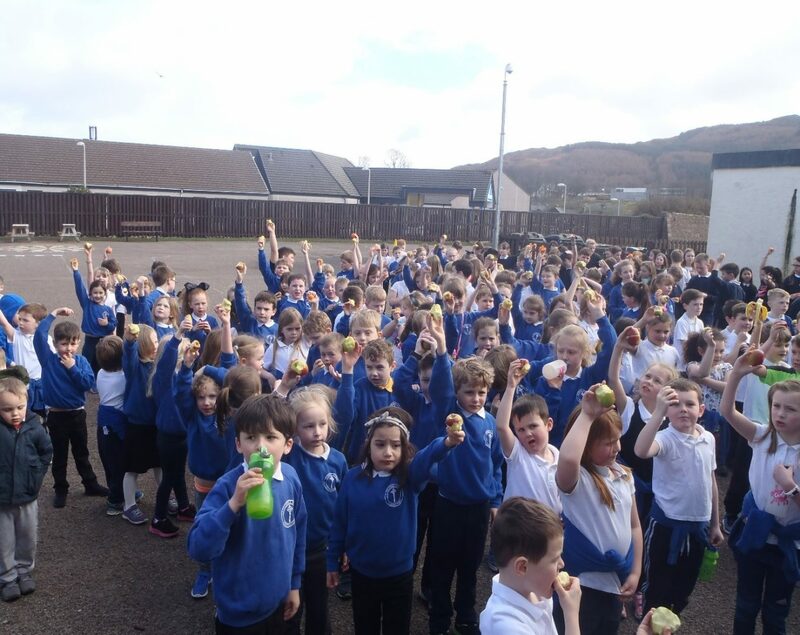 It was great fun and at the end the children enjoyed fruit donated by Tesco. A big thank you to them for providing this fruit for the whole school. The Southend Tufty Club came on their second visit to the school, this time to hear the children perform their work on Robert Burns. After tea, coffee and shortbread, made by the children, the ladies worked alongside the children helping with their art lesson. The pupils were involved in planning and organising this trip to Glasgow where they had opportunities to experience an environment very different to their own. The children had contextualised opportunities to develop skills for learning, life and work which were tailored to their particular needs. There were also opportunities to develop literacy, numeracy and health and well-being, in particular the use of money and telling the time. Furnace Primary 4 boys came along to Minard Primary School to join in an outdoor Maths session. The subject was angles and the boys searched the grounds recording the different types of angles they found in the most unusual and unexpected places. They looked for right angles, acute angles, obtuse angles and straight angles writing them down on a tally sheet. 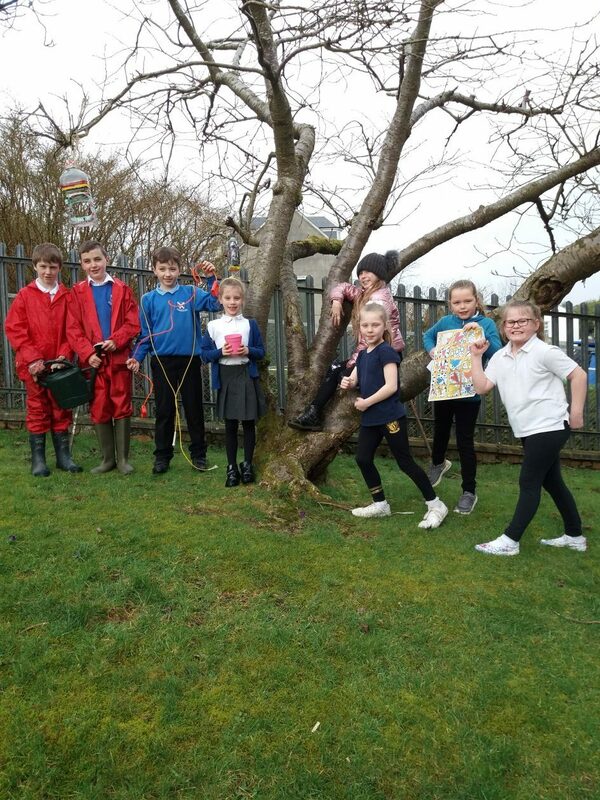 Pupils in Primary 6 and Primary 7 in Rockfield Primary have recently been involved in a very exciting project which sees them work in partnership with Scotland’s Urban Past, a flagship Historic Environment Scotland community engagement project, supported by the Heritage Lottery Fund (HLF). 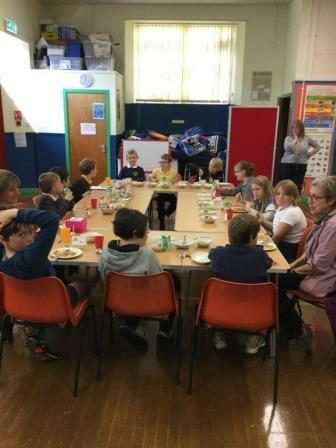 This project will see Scotland’s Urban Past work in partnership with Oban TSI (Third Sector Interface)and Rockfield Primary to provide oral history training, filming and story boarding training which will enable the pupils to interview older members of the community about growing up in Oban. These interviews and story boarding ideas will be collected and used to create a film. Watch out for the premiere at a cinema near you! Children at Castlehill Primary School enjoyed an ear-splitting fitness routine ‘Pounding’ from fitness trainer Fiona Irwin. These energetic sessions were completed to a loud soundtrack using ‘Pounding’ drumsticks and all the classes enjoyed using the drumsticks to the rhythm of the music. Rugby Session at Minard, Furnace and Achahoish! 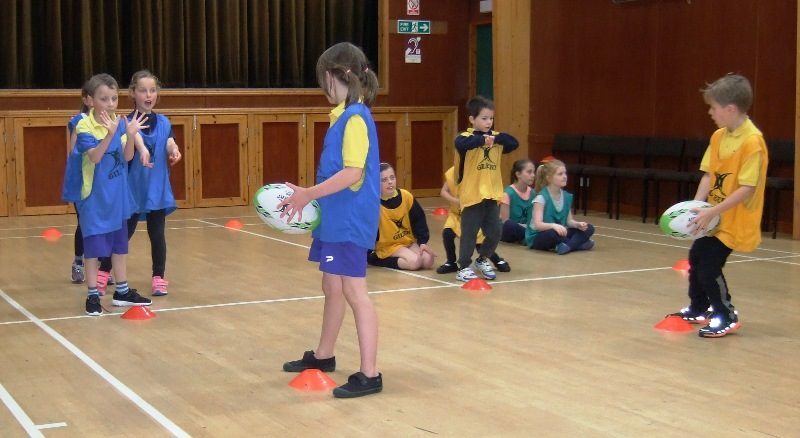 Minard, Furnace and Achahoish schools joined together at Furnace Primary school for a fabulous rugby session led by Allan Wright. The weather was wonderful, the children were amazing and the midges were nowhere to be seen. A great afternoon of sport and socialising for the three schools. PORT CHARLOTTE PRIMARY AWARDED SILVER STATUS BY SPORTSCOTLAND! Port Charlotte Primary has been recognised with a prestigious national award for innovation and achievement in delivering physical education and extra-curricular sport. Our school has achieved the sportscotland Silver School Sport Award for our commitment to engaging all pupils in sporting activity. It’s great that we have been awarded the sportscotland Silver School Sport Award. Our staff work incredibly hard to deliver a range of physical education and well done to the children for their continued participation in physical activity and sport which are important factors in the school curriculum. Today (Friday 2nd June 2017) was a glorious sunny day for all local primary schools attending the annual Police Sports. 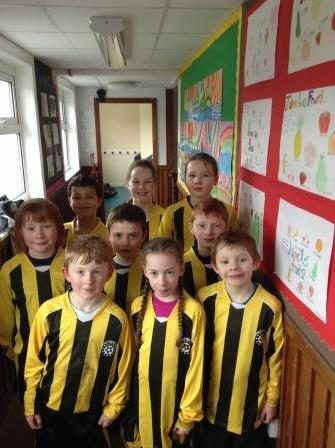 Dunoon Primary had 8 teams from P4-P7 taking part in the football. The athletics was on first with 50m & 100m races for P4-P7 and relay races followed. The Tug of war was lots of fun for all pupils! Medals will be presented on Monday in school. Far too much fun was being had at Toward Primary. Can you spot what shapes we are making? Can you tell your boat from your shoulder stand or your dancer from your chair? Thank you to Active Schools who funded training that enabled Mrs Gerrish from Toward Primary to attend. She has put everything she has learnt, into offering an after school yoga club for the pupils of the school. It has been a hat-trick for Barcaldine Primary School children in the Big Pedal race. We came joint first in the UK in the Small Primary Classes 5-day Challenge category, for the third consecutive year. We have taken part in the Big Pedal’s virtual cycle around Britain for several years now and the children are always very enthusiastic about using the Sustran’s cycle path to cycle to school. We are very excited to start our yoga club at school after 3 teachers and 1 parent attended recent training, provided by Active Schools. 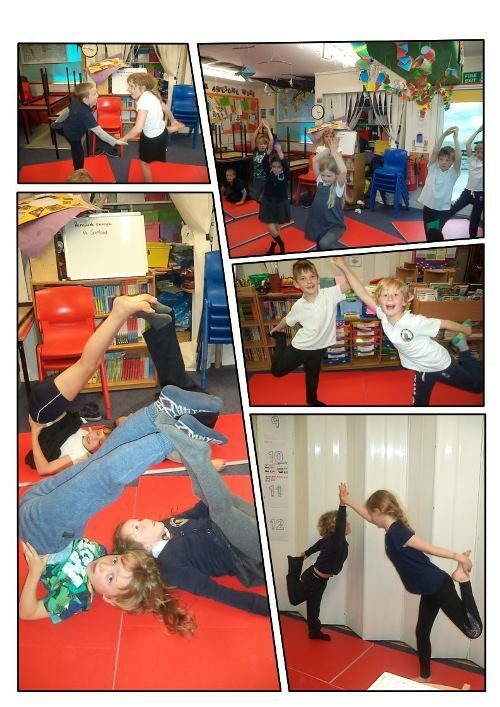 We are even more excited to have our own yoga mats for the club – kindly donated by Kayci’s mum, Rebecca. Rebecca organised a raffle through her business, KMR Candles, and all proceeds went towards the purchase of the mats. Thank you Rebecca! 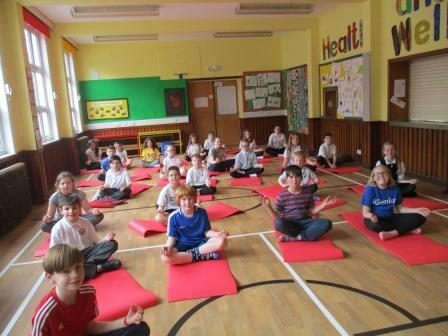 Our yoga club will start on Thursday 23rd May after school and run for 6 weeks. 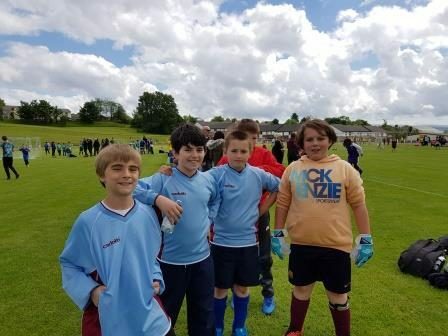 On Friday 10th March Strachur Primary participated in a football tournament organised by Active Schools, at Strachurmore Pitch. Primary 4 and 5 pupils took part from 10am until 2pm and played really well. All the small schools from the Cowal area were invited and Strachur came second, Tighnabruaich Primary won the tournament.